You can hardly tell if your eyes are open or closed, it’s so dark. It’s also the kind of absolute silence you’re just not accustomed to in New York City. If it weren’t for the gentle lapping sensation at your ribcage that occurs with every inhale, it would be impossible to tell you’re in salt water. This is what’s known as flotation therapy—a one-hour session inside a sensory deprivation tank with myriad benefits if you’re brave enough to try it. Also known as Restricted Environmental Stimulation Therapy (or R.E.S.T), studies into flotation therapy have concluded it reduces anxiety, depression, stress and pain. Meanwhile, sleep quality and a general sense of optimism are increased. Some advocates even claim they have psychedelic experiences in the tank, but even if you don’t find it transcendent, an hour’s break from the constant sensory bombardment of everyday life is calming to say the least. Here’s where to get your flotation fix in NYC. This wellness center was opened by a acupuncturist, who filled the rest of his practice space with the buzziest wellness treatments, including a salt cave, infrared sauna and floatation therapy tank (Chinese medicine is all about balancing the elements, after all). 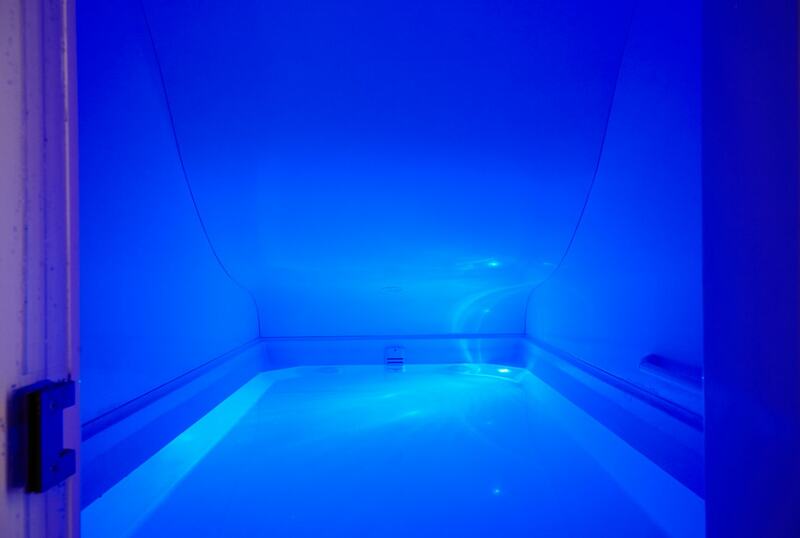 Take a float and then head to the sauna to let the experience marinate before you head back out into the Midtown rush. This spa-like space in Carroll Gardens, Brooklyn, has two options for floaters: the clam-shell shaped Evolution Pod and the Ocean Float Room, which is almost like a cupboard with a big bath of Epsom-salted water you step straight into. Beginners are advised to select the latter and, if the idea of pitch-blackness sounds unnerving, you can leave the ceiling of LED stars on and gently close your eyes instead. The floatation tank at La Casa—one of the oldest spas in the city—is no-frills while also being no less effective. The website spiel claims the “rejuvenating effect on the brain is shown to be equivalent to five hours of sleep” and avid meditators report finding it much easier to quieten down the mind chatter and access deeper layers of consciousness. Dr. Joshua Kantor focused on three wellness innovations with science-backed benefits when he founded Chillspace: flotation therapy, cryosaunas, and full-spectrum infrared saunas, plus trendy treatments like cryofacials and IV drips. Private 6″ x 8″ float cabins here come equipped with a direct line to the front desk if needed. Making them ideal for nervous first-time floaters. A stone’s throw from Madison Square Park , you’ll find New York’s most high-end float center, offering spacious private float suites with adjoining shower rooms. Infinity calls floating “the deepest rest that human kind has ever experienced” and, thanks to the pretty lounge area, you’ll have a soft landing after your experience.